This is Page 2 of Tracing Irish Protestant Ancestors. An overview of the details noted in these records. An overview of the information noted in these records. The Representative Church Body Library in Dublin: The largest collection of registers (including those from some non-parochial ministries such as cathedrals, military chapels or chapels of ease) is held by the Church of Ireland's Representative Church Body Library (RCB Library). The Library holds the oldest surviving Irish parish records – the baptism, marriage and burial registers of St John the Evangelist in Dublin – which date from 1619, and its collection grows every year as more parishes hand over their records for safekeeping. Personal visitors to the Library may freely access the registers. St Columb's Cathedral, Derry City. 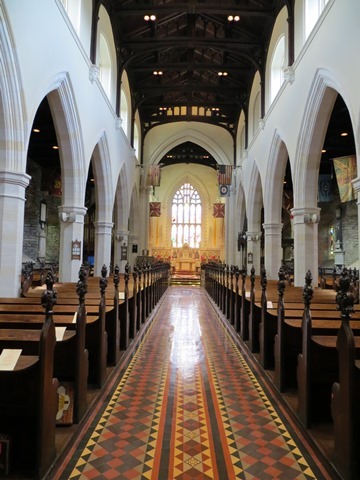 LIST OF CHURCH OF IRELAND PARISH REGISTERS: Following a joint project with the Irish Genealogical Research Society, the RCB Library has published a free-to-download List of Church of Ireland Parish Registers (1.1Mb pdf). This indispensable 98-page document lists not only the RCBL's own collection of registers and transcriptions, but all Church of Ireland parish registers – whether they survive or not – from both the Republic of Ireland and Northern Ireland. The dates of those that survive are also set out in the document, and a colour code indicates the current whereabouts of the originals in repositories, local custody etc. If the registers have been made available online, a link to the relevant database is provided. In July 2017, the RCB Library updated the List with links to parish-by-parish 'hand-lists'. These hand-lists provide an insight into a parish's register collection and also give the researcher up to date information about the parish. The List is regularly updated and the link above will take you to the most up-to-date version. PUBLISHED REGISTERS TO PURCHASE: Library staff have transcribed 12 registers for purchase (details here). CONTACT: RCBL, Braemor Park, Churchtown, Dublin 14. Tel: 00 353 (0)1 492 3979. Email: library@ireland.anglican.org. RCBL online. The National Archives of Ireland (NAI) has microfilms of about 350 Church of Ireland registers. These are on free public access and include many of the original registers now held at RCBL. Although there is a daily free genealogical service at the NAI, it is available only to personal visitors. NAI staff do not carry out genealogical research. CONTACT: National Archives of Ireland, Bishop Street, Dublin 8. No appointment is necessary, but you need a Reader's Ticket to use the Reading Room which is open from 9:15am-5pm Monday to Friday. Details at www.nationalarchive.ie. Public Record Office of Northern Ireland (PRONI): Surviving Church of Ireland records for all Ulster counties, plus those for Leitrim and Louth, can be viewed on microfilm at the Public Record Office of Northern Ireland (PRONI). You need a Visitor's Pass if you want to trace ancestors through these records. Hours 9.00-4.45 Monday to Friday plus a later evening closure on Thursdays. CONTACT: PRONI, Titanic Boulevard, Belfast BT3 9HQ. Tel: 00 44 (0)29 9025 5905. Email: proni@dcalni.gov.uk. PRONI online. Local Custody: In view of what happened to the registers when sent to a state archive (see Did all the records burn? ), the Church of Ireland is understandably nervous about releasing originals from its own safekeeping. Many originals remain in local custody. While some are handed over to RCBL every year, there doesn't seem to be any great rush from the local clergy to relieve themselves of the responsibility of caring for their historical documents. It is, therefore, necessary for researchers to consult the List of Church of Ireland Parish Registers (see link above). If the parish register you seek is still in local custody, contact the church to find out what access arrangements are in place for family historians to view the original pages. When a transcript or microfilmed copy is available elsewhere, local clergy often keep their originals under permanent lock and key. RootsIreland – This pay-to-view database holds millions of Church of Ireland records, but is not, by any means, a complete collection. To trace ancestors through this service, you will, in the absence of an exceptionally unusual name, need to be able to narrow down the area you are searching to county level at least. If you are reasonably confident of the locality, be sure to look at the Online Sources list for the appropriate county (there's a handy widget here) to check that the correct parish is included in the RootsIreland database. All records on RootsIreland are transcriptions; there are no images of the parish registers. 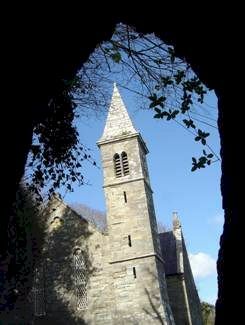 Christ Church, Kilfaughnabeg, Glandore, Co. Cork. 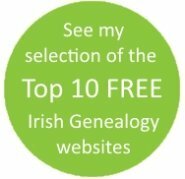 IrishGenealogy – Through this government-funded site you'll find records of Protestant ancestors who lived in counties Carlow and Kerry and in Dublin City. The searchable site provides transcriptions and images, and they're free. The Anglican Record Project - The RCBLibrary (see the offline section above) is the online host of this project, run by Mark Williams. Transcriptions and some images of Church of Ireland records are available free to view on-screen or by downloading pdfs. FindMyPast – This collection is relatively small and covers just a handful of parishes. 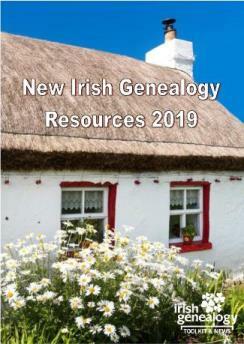 Much of the same material is also available, free of charge, on IrishGenealogy.ie. Tracing Irish Protestant ancestors, Part 1. Tracing ancestors in Roman Catholic baptism, marriage & burial records. 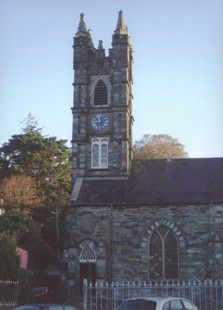 Compared with locating Roman Catholic parishes, identifying the parish of Irish protestants is easy: Church of Ireland parishes are nearly always carbon copies of civil parishes. If you know the name of the townland where your family lived, just enter it in the search box at the Placenames Database of Ireland, confirm the county and then find the civil parish name on the right-hand side. Alternatively, try the Townlands Database. St Brendan the Navigator, Bantry, Co Cork.